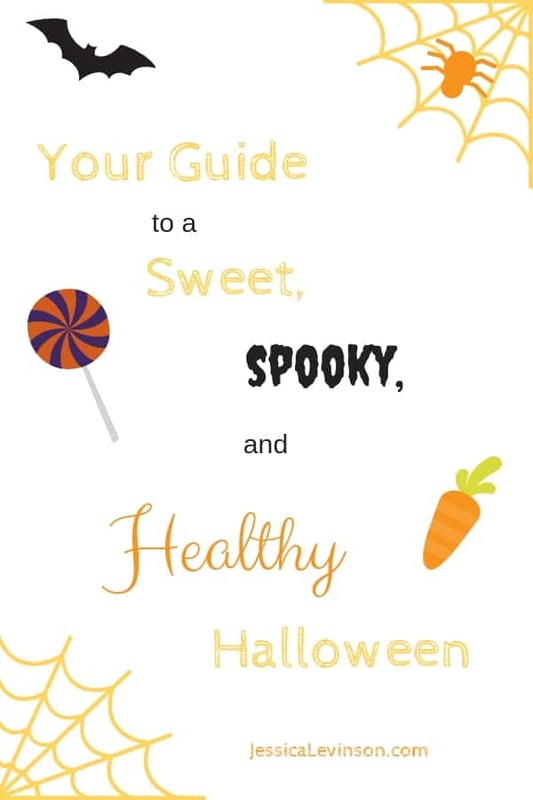 Have fun and stress less with this guide to a sweet, spooky, and healthier Halloween! being a protective parent who doesn’t want them to get sick from eating too much candy or end up with cavities. It is not easy at all, even for this mom dietitian who people think have the kids’ eating thing completely under control. But, over the years I have found a few ways to help families (and myself) enjoy the holiday, have fun, and eat some delicious candy without undoing the hard work we do throughout the year to make sure we all – kids included – are living a healthy lifestyle. 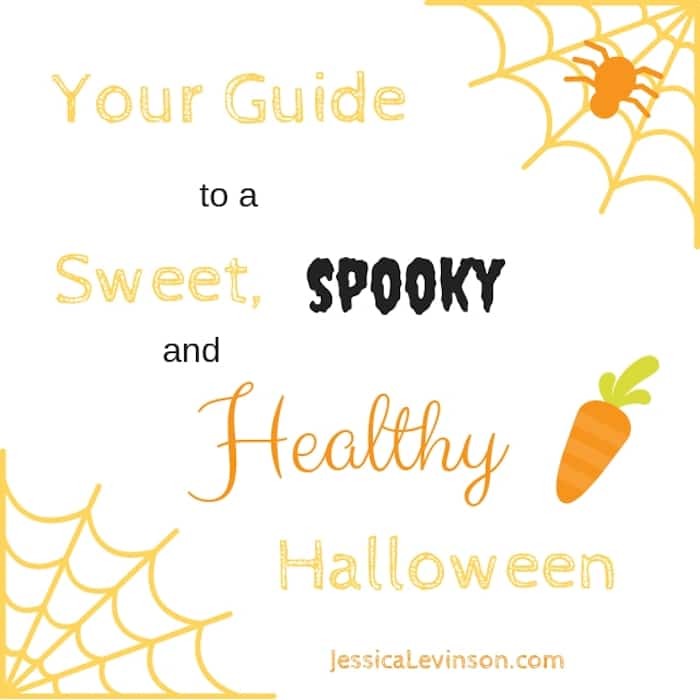 Here are my top 8 tips for a sweet, spooky, and healthy Halloween! 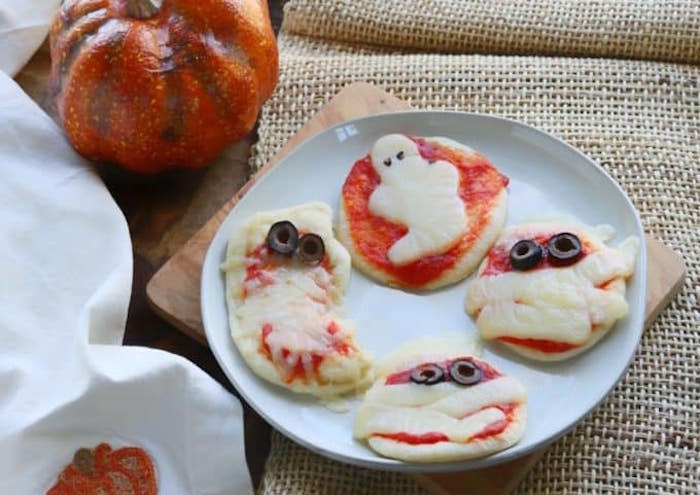 You know you and the kids are going to have your fill of candy on Halloween night, so make sure the rest of the day is as nutritionally sound as possible. Don’t skip meals to save up calories for the evening treats – that method usually backfires and leads to overindulging when you finally break the fast. Start the day with a satiating breakfast like eggs with whole grain toast or high-fiber/low-sugar cereal and fruit; fill your lunch and dinner plates with fruits and vegetables, lean protein, and whole grains; and don’t forget about a nutrient-rich afternoon snack like yogurt, string cheese, hummus, fruit, and veggies. Safety tips for walking through dark, crowded streets and food safety issues like waiting until you’re home to inspect the loot before chowing down. The FDA and CDC both provide some safety tips to keep in mind. How much candy can be taken at each house. This isn’t a restriction on how much they can eat – it’s about teaching kids to share and leave candy for other children behind them in line. What will happen when they get home. Every household will handle this differently, and there are certainly a number of ways you can go about deciding how much candy the kids can eat that night. Whatever decision you make, be sure to discuss it with the kids ahead of time so they know what to expect. 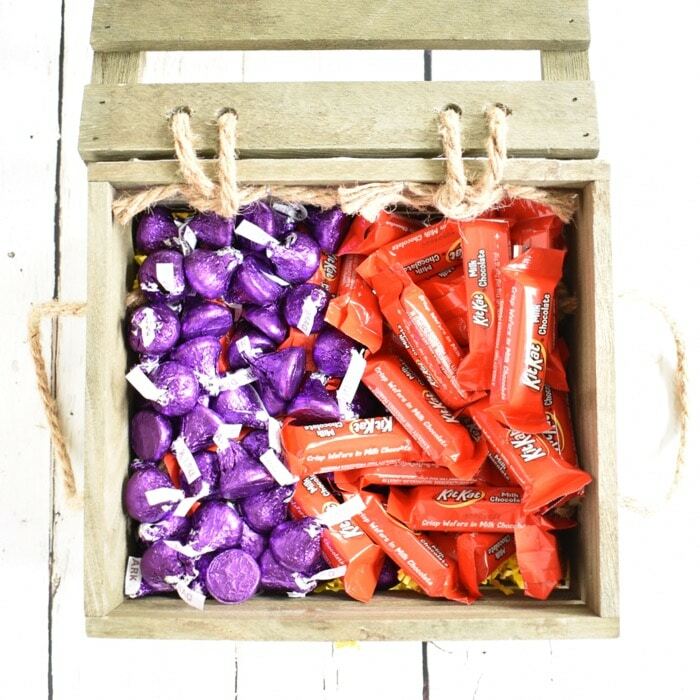 With all the candy options you’ll find on Halloween, don’t just grab whatever’s offered. Teach your kids (and remind yourself!) to be selective when filling those pumpkin baskets. I personally love Reese’s Peanut Butter Cups, Twix, Milky Way, Kit Kats…(the list goes on), but can easily forgo Whoppers, Jolly Ranchers, Tootsie Rolls and more. Many kids want to collect as much candy as they can, but it’s important to let them know that if there’s nothing they like at a stop it’s ok to skip it. As much as I hate food waste, I don’t believe in eating something if you don’t like it. So if you and the kids collect candy you’re not sure about and decide it’s not for you after you taste it, get rid of it (throw it out if it’s open or give it away if it’s closed). When it comes to what you will be handing out at your house there are two main things to think about. What candy you buy and when you buy it. Personally I don’t buy anything too decadent that I would overindulge in; rather, I buy treats that will satisfy my sweet cravings without going overboard. Dark chocolate Hershey’s Kisses are an example of that for me. I also don’t mind having them in the pantry (or freezer) because they’re great little treats for the kids’ lunchboxes. You can also go the route of buying candy you don’t care for at all – this certainly prevents you from eating it while waiting for trick or treaters and makes it easier to give away leftovers. As for when to buy the candy, I highly recommend you buy it at the last minute. No one needs extra bags of candy hanging around before the big day – you and the kids will get plenty of candy on and around Halloween itself. When deciding what to hand out at your house, get the kids involved and think beyond fun-size chocolates and small bags of gummy bears. Clementines with hand-drawn faces are a fun and welcome treat this time of year, as are non-food giveaways like stickers, spider rings, and coloring books. You’ll be surprised how happy some kids (especially the younger ones) will be to get something different – and longer lasting – than a piece of candy. These ideas are also great if you participate in the Teal Pumpkin Project and provide treats for kids with food allergies. When all else fails, rely on a lollipop. Yes they’re sticky and can be a mess, but they also take a while to get through (just don’t let your kids bite them like one of my girls does!). That means they’ll be occupied for more than 30 seconds (the amount of time it takes to eat a mini bag of M&Ms) and may even be able to get through a row of houses before a meltdown ensues for their whole bag of candy. I’d be remiss if I didn’t include this last tip! Needless to say, all that candy can lead to cavities, so make sure your kids (and you!) brush well when done indulging! Remember, Halloween is just one day. There may be (and hopefully will be) candy left over the next day, but it doesn’t mean you can’t go back to your routine the next morning. Do you get nervous about all the candy on Halloween? How do you handle the Halloween candy overload?